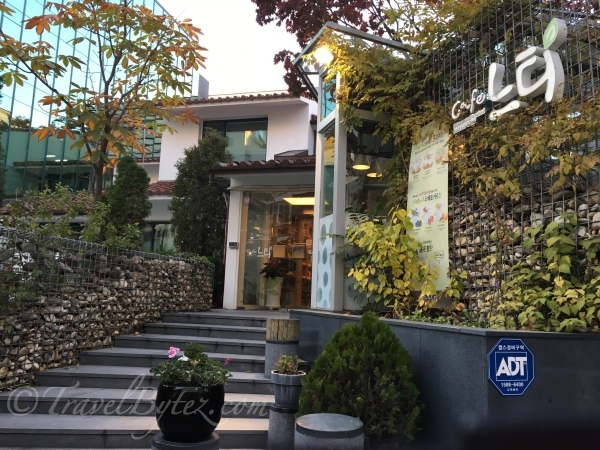 Cafe 느티 is located in the alley (on a corner) behind the Seoul Museum of History. 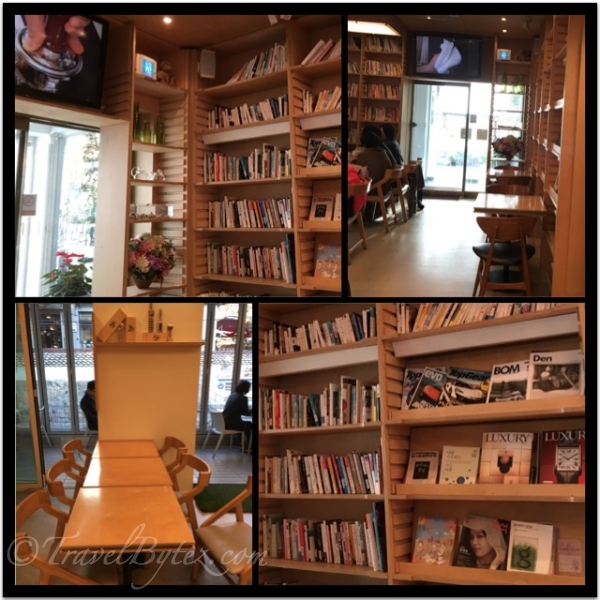 It’s a book café so the décor was very library-like, with bookshelves lined with books, and a cozy light-wood theme environment. Perhaps it was the cold (it was 10 degrees) autumn weather, so the cafe was bustling with activity and we almost could not get a table; but we managed to get a table near the terrace (kinda). 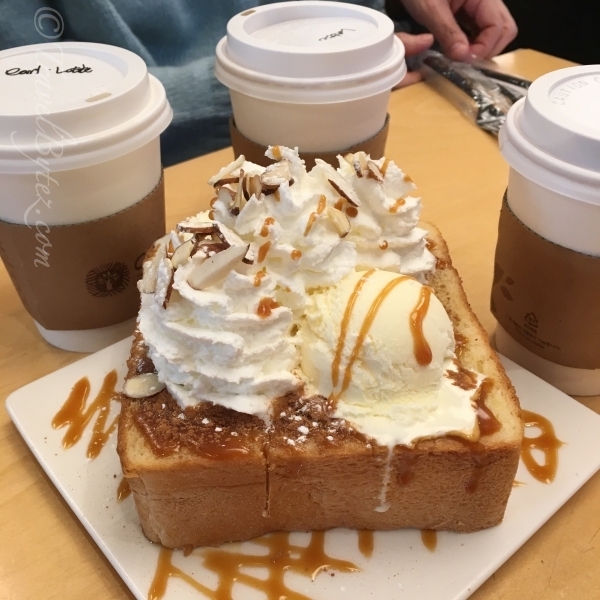 We had some coffee / tea and honey toast! The honey toast was yummy, not too hard and not dry at all. It was a delight to eat, and even more perfect when shared with good company (helps to share the calories too 😂). The ambiance of the café was very conducive for chit-chatting and whiling the time away on a nice afternoon. We actually stayed there for more than 2 hours before we decided to drop by C’s friend’s house, which was in the vicinity. So off we went to C's friends house with our Korean (ex-teacher) friend leading the way. It was so nice of her to walk us all the way to the place from the cafe before she hopped in the subway home. The walk to C's friends home was about a 15 minute walk, and with the cool weather (as long as the wind did not blow), it was actually quite a pleasant walk.